Yamaha Motor Europe is delighted to announce that the inaugural Yamaha R3 bLU cRU Challenge winner Alfonso Coppola will make the step up to compete in the 2018 FIM Supersport World Championship with the newly formed GRT Yamaha Official WorldSSP Jnr Team. The 20-year-old Italian finished as runner-up by just one point in the overall 2017 WorldSSP300 Championship, after an incredible debut season that saw him record one victory and five further podiums in just eight races, with Coppola now focused on the next challenge in his career riding for an official Yamaha team onboard the YZF-R6. The 2017 Yamaha R3 bLU cRU Challenge was the first of its kind and saw six young riders battle it out within the WorldSSP300 championship in their own competition. The prize on offer was a guaranteed Yamaha supported ride in a higher class for 2018 and Coppola secured victory in the challenge from his fellow bLU cRU Riders with at the penultimate round at Magny-Cours, before just missing out on the overall WorldSSP300 title in a dramatic finish in the final race of the season at Jerez. Coppola, who spent two seasons competing in the European Junior Cup before joining the newly formed WorldSSP class in 2017, now moves up to the highly competitive WorldSSP class for 2018 where he will compete in the European Supersport Cup that takes place at all the European rounds of the 2017 FIM Superbike World Championship. He will ride for the newly formed GRT Yamaha Official WorldSSP Jnr Team, an offshoot of the full Yamaha GRT team that completed a clean sweep of the WorldSSP titles on offer last season after Lucas Mahias won the overall championship, with his teammate Federico Caricasulo helping GRT to secure the Team and Manufacturer titles as well for Yamaha. 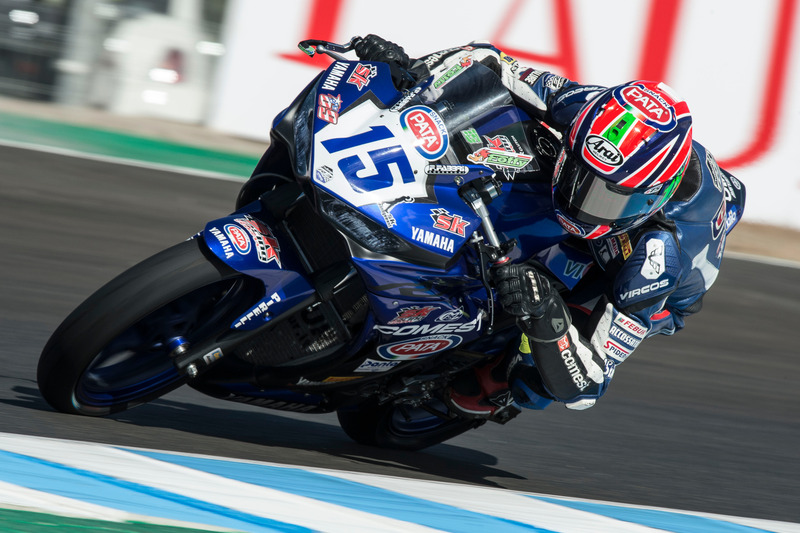 Having had three seasons to learn the tracks on the WorldSBK calendar, Coppola is confident that he can adapt to the Yamaha R6 quickly and is already looking forward to his first official test with the GRT Yamaha Official WorldSSP Jnr Team on the 22nd-24th of January, before the first round of the European Supersport Cup at Aragon (Round 3 of the WorldSBK Championship) on the 13th-15th April 2018.